In the southwest of France there's a small group of friends planning to start a distillery. They figured their region had to be on the whisky map as well. So, while they are working on having their own distillery up and running they are sourcing whisky from Scotland, marrying it and finishing it in casks that have held various spirits from their region of France. Since the whisky is finished and bottled outside of Scotland this cannot be called Scotch, even if the whisky itself is distilled in Scotland. The Black Mountain Whisky Sélection BM No. 1 is a blended whisky with a high malt content. The sourced whisky is watered down to 45 % ABV, then married in casks for a minimum of six months, and finally brought down to 42 % ABV and bottled. The Black Mountain company write on their website that the malt whiskies used are at least nine years old. There are no specifics on the age of the grain component, as far as I can see. Please bear in mind that I am at the mercy of Google Translate here, as I do not read French myself. I should probably also note that this product is not to be confused with the scotch single malt whisky Beinn Dubh (which means The Black Mountain); a product from the Speyside Distillery. The Black Mountain Whisky Sélection BM No. 1 won the 2015 award for World Whisky Awards Best European Blend. 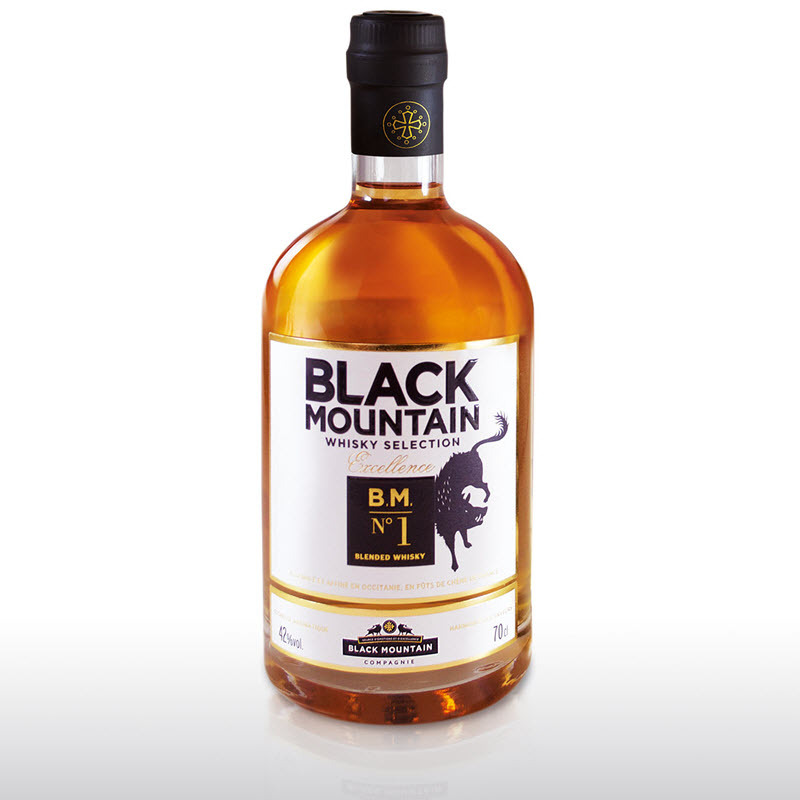 It appears you can get a bottle of the Black Mountain Whisky Sélection BM No. 1 online at around GBP 55. Nose: Fruit juice - made from apples, grapes and pears. Banana, banana bread, malt, vanilla and a touch of mustard seeds. Taste: Cool and smooth mouthfeel. The same light fruit juice feeling as on the nose. Same fruits as well; minus the grapes. Some spiciness; white pepper and ginger. Finish: Short finish. I am left with cinnamon, ginger, white pepper and hints of grapefruit juice. Comments: Easy drinking. Young with no faults, but also nothing to really excite me. Looking forward to see (and taste) what they will produce once their distillery is up and running.